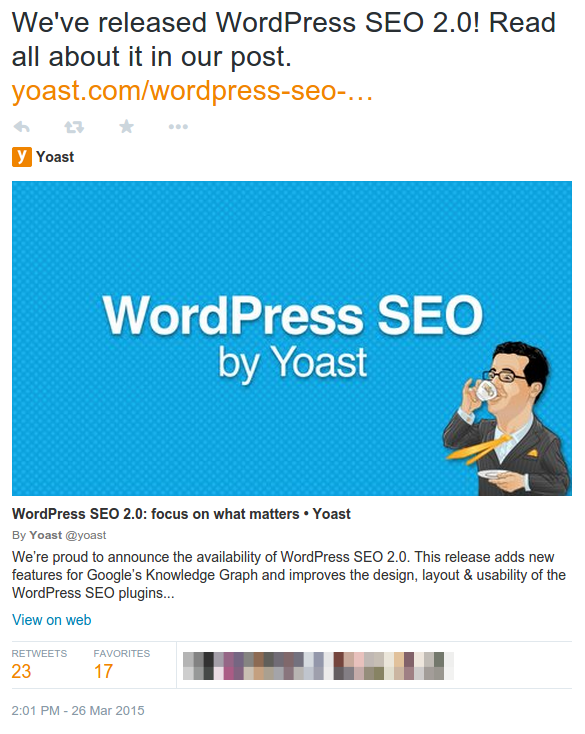 You can set up or change Twitter Cards in Yoast SEO by going to SEO → Social. Checking the add Twitter card meta data turns on the feature but you'll need to add few pieces of information so the plugin can generate the appropriate card data. Log in to your WordPress website. When you're logged in, you will be in your 'Dashboard'. On the left-hand side, you will see a menu. In that menu, click on 'SEO'. The 'SEO' settings will expand providing you additional options. 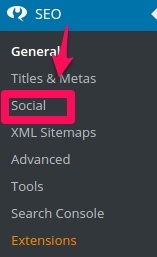 Click on 'Social'. Enter your site wide Twitter username if it's not already entered. Click on the 'Twitter' tab across the top and check 'Add Twitter card meta data' and select the default card type. Twitter offers different card types. Summary and Summary with large image are available to all Yoast SEO users. Other selected card types are available through our premium add-ons. You have now successfully added the appropriate information for the card type you selected. It is no longer necessary to apply for Twitter cards. However you can still use the Twitter Card validator to check links for accurate information. What Card Types Are Available? Summary cards are included for all Yoast SEO users and are the default for all posts and pages. Twitter no longer supports gallery, product, and photo cards. They will be automatically mapped to an appropriate card type. Learn more directly from Twitter here. Player or app cards are not supported, at this time, with our plugins. Your content is cached by Twitter for 7 days after a link to your page with card markup has been published in a tweet. After sharing a URL with Twitter cards setup correctly, you will see a link in the bottom corner. Clicking that link will expand to show the Twitter card. Here is an example of an expanded Twitter card. Still not working? Check out Twitter's troubleshooting guide for help.